Associate Professor of History at the University of Mississippi (USA). Ph.D. from Harvard University. EURIAS Fellow, reconstructing the landscapes of Medieval Anatolia. When I started my year as a NIAS Fellow, the last thing I expected was that I would end up spending a week staring at the ground in some remote field of the Portuguese backcountry. I am a historian specializing on daily life and worldviews in medieval Anatolia—the region that is now known as Turkey. My first book looked at the texture of daily lives as reflected in people’s various interactions with food (eating, of course, but also agriculture, exchanges and religious meaning). My current research looks at landscapes, examining the variety of ways in which medieval people experienced the physical environment of the countryside. As a historian, the core of my source material is composed of written sources. Hagiographies, archival documents, chronicles, travelogues: almost any text that mentions places tells us something about its author’s relationship with the physical world, and I revel in the challenge of piecing together a disparate collection of faint hints about how medieval women and men inhabited their world. But written sources tell only part of the story, the subjective part. The land itself also has a lot to say, since its layout and appearance has over the centuries been transformed by a combination of natural processes and human activity. And no discipline is better equipped than landscape archaeology to study those changes and their meaning. While never trained in that discipline, I have been lucky enough to receive the mentorship of several archaeologists. This is why I was happy to learn that Tesse Stek, himself a landscape archaeologist, was going to spend the year as a NIAS Fellow as well. Archaeologists are always good company, I thought to myself, even if his research on the early Roman period seemed rather unconnected to my interests. Boy was I ever wrong on this one. By the end of last November, when we presented our research to the NIAS community in successive weeks, it had become quite obvious that our respective projects approached many of the exact same questions by using completely different methods and sources. How did the people of the past inhabit this place? What did they think about it? Nicolas Trépanier and colleagues got their hands dirty in landscape archaeological fieldwork - literally. Photograph by Nicolas Trépanier. Then sometime in December an ad appeared on Tesse’s NIAS office door. “Frontier Landscape Project, Portugal: Winter Field School”, it said. 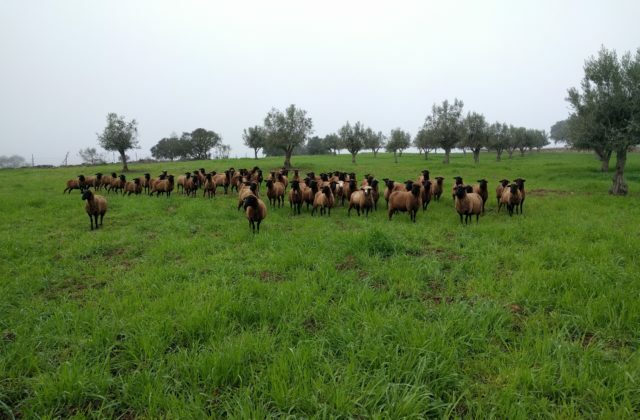 His research, up to now concentrated in Italy, was expanding into Portugal, and he would use this opportunity to have his students to get their hands dirty in landscape archaeological fieldwork—quite literally, since part of the work involved picking pieces of pottery off the ground in fields where sheep and cows were regularly, uh, digesting. This particular technique, “field walking”, requires teams of around five people, walking side by side ten meters apart in areas carefully delineated by their GPS coordinates. The pottery sherds discovered on the ground surface are unevenly distributed, and areas where they are found in high concentration almost always betray the underground presence of sites of archaeological interest. But this is only one of the many techniques used in Tesse’s project. In fact, one of the qualities that make him a rising star in landscape archaeology is his ability to feed complex, humanities-style discussions about settlement patterns and their meaning with data gathered from a wide range of techniques, some of which using cutting-edge technologies like the use of drones, prompting one of his students to nickname him “Indiana Drones”. 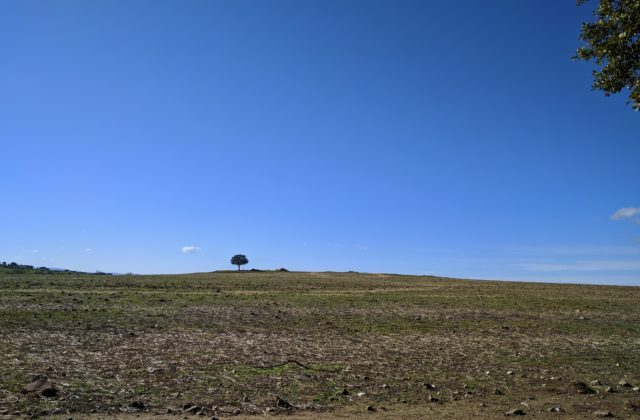 Over the course of a week spent in Portugal with Tesse and his team, I picked a lot of pottery off the ground, was initiated to the variety of techniques used in landscape archaeology and, more importantly, immersed myself in the ways archaeologists talk to each other about the land. The experience has left me much better prepared to use archaeological data collected from Turkish projects that use some of these same techniques. More importantly, it opened a floodgate of new questions and new discussions that have tremendously enriched both Tesse’s and my work—and both of us hope and intend to keep these discussions going well past the end of our year at NIAS. 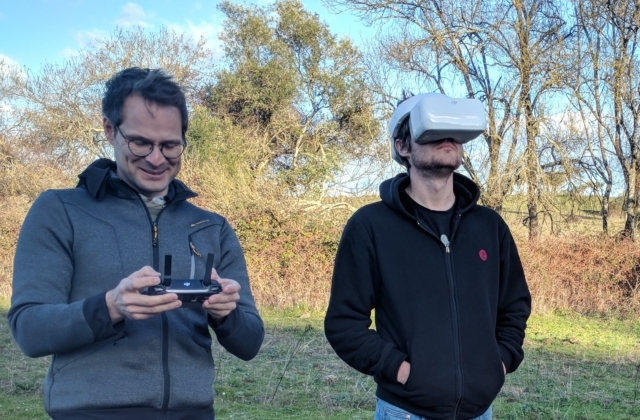 Tesse Stek (left) flies a drone. Photograph by Nicolas Trépanier. The structure of academia pushes us to work in silos. This is why, among other things, the conferences we are the most likely to attend are also those from which we have the least to learn. But we have a lot to gain from breaking those institutional barriers—say, by putting a medievalist historian and a scholar of Roman archaeology side by side, and see what happens. This is what NIAS does and, as I found out while trying not to step into cow poop in a Portuguese field, a lot does end up happening when the barriers break down.